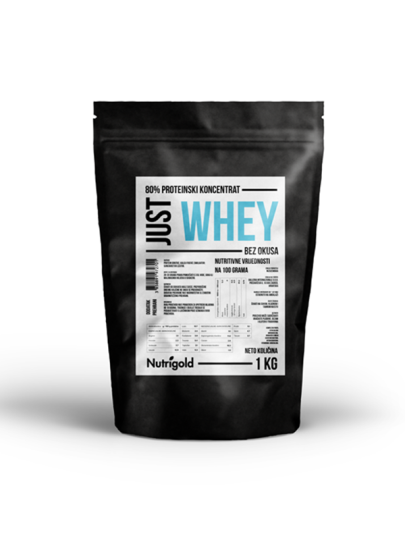 Just Whey Protein is a product of protein whey which is concentrated by ultrafiltration to 80% protein content, whey is obtained directly from milk, resulting in a pure product. The product has a pure taste and smell and is without additives and sweeteners. whey protein, calcium phosphate, emulsifier: sunflower lecithin. The product may contain traces of gluten, sesame and nuts. The product contains milk / lactose.